We’re roughly 6 weeks into the New Year and by now, for most of us, the dust has settled around our resolutions, revealing to us the goals that are actually going to be the most attainable and the ones we should spend most of our energy on. For many people, financial goals generally make this list. And while everyone’s financial goals may look different, a commonality amongst all of us is that we’re all likely trying to save more money for one reason or another. Read the books on your bookshelf - I’m a chronic buy-a-book-and-only-read-half-of-it-before-I-see-another-really-interesting-book aholic. I’ve got plenty of wonderful books on my very own bookshelf that haven’t been read and I’m vowing to at least take them all into consideration before going out to buy new ones. It’s a great way to save $15/month (which is $180/year just FYI). And if you don’t suffer from the same disease I do and actually read the entirety of every book you own so you still need new ones - grab yourself a library card because then you get FREE BOOKS! Make a shopping list - Nothing keeps you from overspending more than making a shopping list (and sticking to it.) Making a list forces you to truly consider the things you need and the things you don’t. Sticking to said list is especially helpful and deters you from throwing things in your cart that you don’t need or that you don’t have budget for. Budget - Without a budget, we often piddle away more money than we even know if we’re not careful. A budget helps us understand where every single dollar is going and keeps us on track. Budgeting for the first time is like receiving a raise when you realize how much money you actually have to work with. It can help you realize where you’re overspending (maybe we only go out to eat 3 nights a week instead of 5?) and allows you to reallocate that money to other places - even the things you’re saving for. If you’re looking for a digital budgeting tool, EveryDollar is a great app to look into. If you’re more of an excel file kind of nerd, I’ve got a free template for you at the link below. What other ways to you manage to save money throughout the year? Holiday season can be one of the very tip top stressors for someone that’s trying to adult and stay on budget…unless you remember to budget for all the things that go along with it. SALES - Speaking of Christmas gifts…don’t forget about massive holiday sales like Black Friday, (Nov 23), Small Business Saturday (Nov 24), and Cyber Monday (Nov 26). These are always a killer way to buy score some great gifts for great deals. Holiday travel - When it comes to holiday travel I always remember to budget in the actual flight or gas money, care arrangements for my pets, and a little spending money for road/airport snacks. But if I’m flying I ALWAYS forget to budget for parking at the airport. Make a list and check it twice for what you’ll feasibly need to get you from point A to point B this holiday season. Holiday food - Go ahead and take a look at your calendar and add a bit of money to your grocery budget for the months of November and December because chances are you’ve got 37 potlucks to attend and your grandma’s famous mac and cheese isn’t going to make (or pay for) itself. Warm clothing - Maybe you’re better at curating your winter wardrobe than I am, but practically every fall/winter season I take a look at my closet and wonder what the heck I wore the year before. Set aside a little money to buy a sweater or two to keep you warm and happy. Giving - And of course - the biggest theme of the holiday season - charitable giving. The entire reason we’re all striving to get out of debt and into financial freedom is so we can live and give like no one else. Set aside a little money to give to your favorite charitable organization as a reminder and motivation for what your long end goal is. Need some ideas? Hope International or Charity Water are a couple to consider. What did I miss? 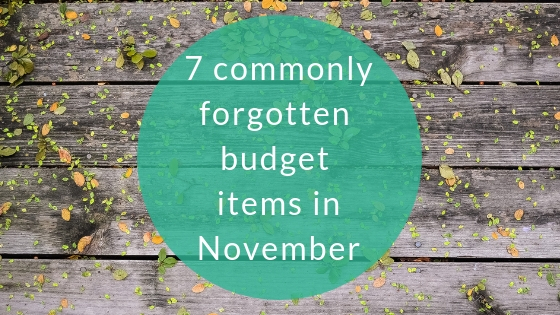 Any other line items your adding to your budgets for November? So I know we’ve been here before…you know, the place where I tell you I think I’ve finally figured out the best way to buy clothing on a budget. But this time…THIS time, I think I have truly figured it out. Then I started simply budgeting for clothing every month with the intention of squirreling that money away until I saved up enough to buy something I really wanted. But I wasn’t always super diligent about pulling the money out of my account so it would eventually get absorbed by other purchases or simply forgotten about all together. I even upped my budget line (from $15/month to $100/month) in an effort to feel more freedom to spend this money, but then I just found myself freezing up not knowing what it is I even wanted to buy…kind of feeling overwhelmed with decision fatigue. And that money would also eventually get used for something else. Fast forward to 3 months ago when I signed up for my very first Le Tote. Le Tote is a fashion subscription service that allows you to rent clothing and accessories for a monthly flat fee. One of my Houston besties has been subscribed to Le Tote for yyeeaarrss and I finally decided to bite the bullet and join her. There are different subscription levels but for $80/month (this includes insurance in case anything happens to any of the items) I receive 5 clothing items that are mailed straight to my door. When you sign up for Le Tote you fill out a questionnaire to prioritize your sizes and style preferences. Based on what you choose, Le Tote will put together your first “tote” for you, but you can swap out the pieces if you aren’t into what they’ve selected for you. You receive the items, wear them as many times as you’d like, and once 30 days passes you simply throw them in the already postage-paid bag that comes with it and drop them in the mail. Once the bag has been registered that it is back en route to Le Tote, you’re eligible to pick out your next 5 items. And if there’s something you really love, you can simply keep it and Le Tote will charge your account. So simple. Plus these items are highly discounted from regular retail - the best! What I’ve discovered in the last 3 months of this clothing rental experiment is even though I am spending $80/month on it, it’s actually helping save me money in the long run. With three totes I’ve received, each one has included pieces that I’ve loved and thought, “I want to buy all of these!” However, after wearing them a few times, I start to realize that, while I do like the pieces, I’m not actually sure I want to commit to spending any money on them. Having the opportunity to actually wear clothing first to see how it fits and shifts throughout the day has been way more helpful in the clothing-buying decision making process than simply trying them on for 2 minutes in a dressing room mirror. Thus, I put thought and care into what I want to purchase, saving myself (and my wallet) from typical impulse buys that normally happen when shopping. Instead - I enjoy wearing them for a few weeks, happily send them back, and save my money for pieces I truly love. I honestly wasn’t sure if the investment in this subscription would be worth it but so far I approve it 100%. It scratches the itch of wanting new clothes (every single month, no less), keeps me on budget, and forces me to be thoughtful and intentional when making buying decisions. What could be better? Want to try it but aren’t so sure? Snag you first tote for FREE with my referral code below! Should I use my savings to pay off my debt? If you’ve ever followed along with Dave Ramsey’s Baby Steps in an effort to achieve financial freedom, you know how critical it is to get out of debt as quickly as possible. In fact, it’s the second step (out of the seven) after saving up $1,000 for an emergency fund. It’s pretty common for people to enter into the Financial Peace journey with a lot of debt AND a lot of savings. For many of us, it’s hard to fathom halting on saving money for a while to solely focus on paying off debt, so we often put money toward both. However, with the debt snowball method and laser focus, the debt will disappear much faster if you throw all extra money its way. I know. It’s a bit of a scandalous idea. The reason being that the next Baby Step once all debt (other that mortgage) is paid off is to build your emergency fund to cover 3-6 months of expenses. So now that you’re out of debt (or you’ve knocked a ton of it down and are going to knock the rest of it out with your debt snowball), you can take all of that money you were putting toward debt payments and throw it into that fund and it will build incredibly quickly. And the faster you do this, the faster you can start focusing on retirement, investments, etc. I know the Baby Steps can be difficult to wrap your mind around, but these small and simple (not easy, but simple) steps really do work. They take something giant like financial freedom and break it up into bite sized pieces that everyone can accomplish. So if you’ve found yourself chasing your financial tail for awhile now, consider giving this strategy a try. PS - having a hard time even figuring out how much money you’re actually spending? 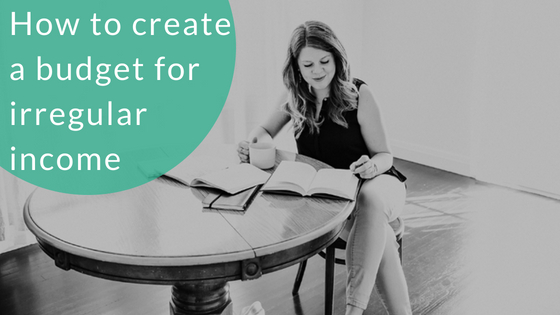 Grab my free budget template below and start telling your money where to go instead of the other way around! When it comes to putting together a budget, a common question I get asked is how to create one for someone with an irregular income. Most of us are lucky enough to know exactly what each paycheck will read before it ever hits our account; however, many others don't have that luxury. But whether your job is based on commission or projects by hire, you can still put together a successful budget. When it comes to irregular income, my advice is to put together a bare bones budget based on the minimum pay you know you will receive each and every month. For example: if you are in a role that is commission based, you'll put together a budget based on your guaranteed take home pay each month, excluding all commissions. So if your pay is structured to where you receive $1,000/month + commission or sales, you'll put together a monthly budget to work within $1,000. Prioritize these needs first as they will always need to be covered in your budget. After that, use what money is left over to pay remaining bills and take care of any other necessities. If you're paying down debt, be sure to prioritize those minimum payments in as well. Next, use your commission checks to round out the rest of your expenses. Make a list from most important to least to prioritize where this additional money will go. This might include throwing more money at your debt snowball or maybe even saving up for those shoes you've been eyeing. As you get each commission check or have money left over from a project you were hired for, go down your list and divvy out money as necessary. If you run out of money before you get to the end of your list, simply pick back up where you left off when you get another check. It will take a little bit of trial and error to get the hang of this at first (did you know it takes the average person 90 days to get decent at budgeting, irregular income or not? ), but practice will get you where you need to be. I recently finished up a training that has been a pretty big goal of mine since the beginning of the year. In February, I received an email promotion stating that Ramsey Solutions' (Dave Ramsey's company) Financial Coach Master Training was now being offered online. What was once only offered as a 4 day training in Nashville, was now accessible to me all the way in Houston. I knew I wanted to participate in it instantly. Be specific - When we set goals that are general, we are immediately setting ourselves up for a bit of failure. Goals like, "to lose weight," or "to save money," can feel overwhelming and can easily get lost in the busyness of life. Be specific when setting goals. "I want to lose 5 pounds," or "I want to save $300," will go a lot further as you'll have something specific to work toward. Be measurable - Similar to your goals being specific, they also need to be measurable. Losing weight and paying off debt are both pretty measurable as you can physically see the scale numbers going down or the savings numbers going up. But you can also track goals that are not traditionally easy to measure - you just have to figure out what the definition of measurement is for them (and sometimes you figure that out as you're working toward the goal.) For example, when I embarked on following the Whole30 program for the first time, I simply wanted to feel better. At first, I wasn't quite sure what that meant, but as I dug into the program, and actually started to feel better, I realized it meant a variety of things. Sleeping better, fitting into my clothes better, having more energy throughout the day, etc. Effective goals are measurable and there is room to figure out what, in fact, the measurement is. Be time sensitive - This one seems a bit obvious but if you don't have a timeframe involved, you may never accomplish what you're going for. I'm incredibly deadline oriented and am driven by a looming due date (this is just me saying a bunch of words that really mean I'm a procrastinator.) However, even if waiting until the very last second to complete a task isn't your MO, setting a due date is still incredibly helpful as an end point to work toward. In saving up for the Financial Coaching Master Training, my ideal deadline was "as quickly as possible," but my realistic deadline was within six months. Having a dream timeframe and a realistic timeframe will help keep you moving, but also protect you from feeling like you "failed." Be written - Writing things down gives them an immense amount of power. Writing your goals down brings them to life a bit more than when they just live in your head. 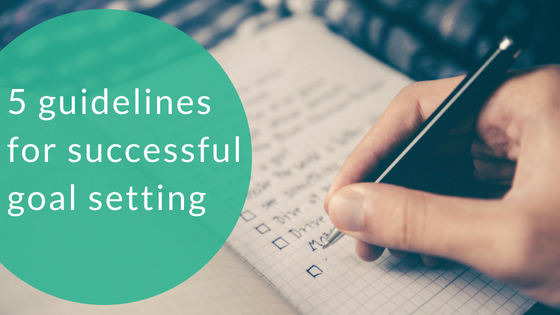 When you write out goals, you are more likely to feel held accountable (which is a good thing!) and to begin taking the action steps to make them happen. Plus, nothing is more fun than going back and looking at a written list of dreams and being able to cross things off. 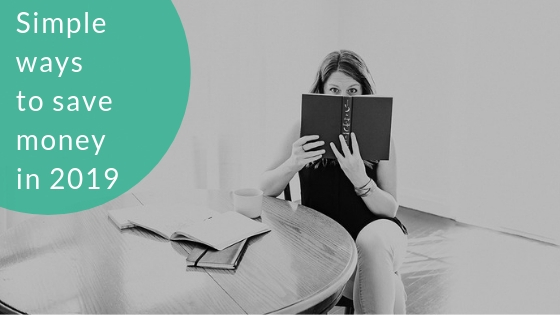 I even wrote about my goal of signing up for Financial Coach Master Training on the blog. Whether you written down privately or publicly, writing your goals down gives them power. Be yours - Lastly, the goals you are setting need to be yours. You're not setting goals for your mom or your dad, or your boyfriend or girlfriend, or your dog or your cat. We already have a ton of goals that are set for us by work or volunteer organizations. It's incredibly important to figure out what it is that YOU want to accomplish, and that YOU want out of life. No one else will be doing the work for you, so why let them dictate the end result? What other tips do you have for setting goals that are effective? While I am (what feels like) eons away from even thinking about owning my own home, I realize that many of you reading this may be a bit closer to this milestone. Since I am still living in renter's world, my knowledge of home buying is pretty slim so today I'm bringing in an expert on this matter. He also happens to be a great friend of mine! Rusty not only knows home buying because he and his wife, Jess, bought their first home just last year, but he's also pretty well informed as a Houston based real estate agent. 1. Consider Talking to a Mortgage Lender (WAY before you’re ready to move) - This should really be the one of the first conversations you have when you consider buying a home. A lender will be able to tell you what you qualify for AND will be able to help you better understand how much money you will actually need to have saved up for the kind of home you want to buy. Furthermore, they will be able to explain the various options that are available to you (first time home buyer programs, lower down payment programs, veterans programs, etc.,). I know Dave Ramsey has some endorsed local providers that work with people who follow the Financial Peace University plan. Definitely check those out. My biggest tips here are to find someone smaller and local. You want to find a company who is going to treat you like their number one client even if you’re not ready to buy yet. They work for you and you should find someone who gives you great service and options that will fit your situation best! 2. Consider Saving MORE Than You Think You Need - If you talk to a mortgage lender on the front end, you’ll have a good idea of what kind of down payment you’ll need, but there is a mess of random things you’ll have to pay for when buying a house. For instance you’ll likely need to pay for an inspection, appraisal, origination fee on loan, title insurance, escrow fee, mortgage insurance, home owners insurance, and more. A good lender should be able to give you a rough estimate on this kind of stuff too, but keep in mind they’re just estimates. On top of that there are other expenses that are bound to pop up – boxes and packing material, moving company, a new couch for your beautiful new living room, etc. If you are planning on making a move in the next year, I recommend starting a sinking fund today. Save that money little by little each month so that when your move comes, you can enjoy the process, rather than looking in the couch for change to pay the movers to move it! 3. Consider The End of Your Lease / When You Can Move - When you even start thinking of moving, it’s super easy to get caught up in the excitement of it all. Before you know it, you’ll be pricing shiplap and looking online at houses so you can make into your very own fixer upper. But don’t make the same mistake we did. When Jess got pregnant with our first son, we felt like we needed to get into a house ASAP (this was before we started working with Katie, clearly). We rushed, found a house we liked, and bought it… with 4 months left on our lease. Big mistake. HUGE. Set the date that works for you and YOUR budget. Real estate agents are constantly talking about shifts in the market, trying to get people to hurry up and buy. DON’T DO IT. Set your goals, pay down that debt, and buy when it makes sense for your finances. 4. Consider Making a Priority List of Things You’re Looking for In a House - Before you make one of the largest purchases of your life and take on more debt, know why you want to move and what you need in your new house to make it worth the investment. This will help you make smart decisions when you buy your house which will, in turn, help you end up with a house that you want to keep for a long time. Making a priority list means determining the MOST important things. If you are moving because you need more space for a growing family, your priority list will keep you from buying a small house because you just LOVE the bathroom (it happens, I promise). Things to consider when making your priority list: Size (bedrooms, bathrooms, yard, etc. ), location (neighborhood, local businesses, schools, etc. ), PRICE, and featured amenities. List ALL the things you want and need, separate them into non-negotiable and wish list, and then RANK them within those categories. This will save you a lot of time and energy down the road. 5. Find a Real Estate Agent That Works for YOU - A good real estate agent should be your guide, advocate, and champion. By LAW we are required to give you fiduciary duty which means putting your interests above our own, and offering loyalty, honesty, confidentiality, and more. Beyond that, real estate transactions require the involvement of a LOT of different people – lenders, inspectors, appraisal officers, title companies, contractors, etc. A good agent will have a reliable network of recommendations who should treat you as well as they themselves treat you. Find an agent that takes the time to get to know you and your needs, who treats you like their number one client, and who will do everything in their power to help you get where you need to go. Buying a home can be overwhelming, but just like finances in general, a little planning on the front end can help you go further than you thought was possible. One of my biggest goals in real estate is to help people navigate this complicated process. You can do it! Plan ahead, get the right people in your corner, and buy that house! PS: If you're in the Houston area and are currently in the buyer's market, definitely check out Rusty as an option to help you land the home you're dreaming of! Before we dive deep into this topic I've got a question for you - have you actually heard this phrase before - "Christmas in July?" I'm going to need you to go ahead and give me a yes or no comment section for this one because I just found out a friend of mine has never heard this phrase before and it baffled me. To be fair, he's from the northeast, so maybe Christmas in July is just a southern thing? Who can say. 1. It saves your budget - When you start saving money in July for Christmas, it means you won't be trying to pinch pennies in October and November for the presents you want to purchase. Setting aside a little cash each month throughout the year will give you a nice pile of spending money for Christmas and your budget won't have to take a massive hit. 2. It saves your sanity - Setting aside money each month to spend on Christmas gifts not only takes the load off of your wallet, but also gives you the freedom to purchase gifts throughout the year, rather than running around like a crazy person on December 24th. (Oh that's just me that does that? Okay, cool.) You can start picking up gifts here and there, giving you the opportunity to get ahead of the game and actually enjoy the holiday season when it arrives. 3. It saves your gift-giving reputation - Giving gifts is my favorite love language but any time I wait until the last minute to purchase them I wind up giving random presents just to make sure I'm giving something. Setting aside money throughout the year allows you to pick up gifts as you come across them or order specialized ones in plenty of time. Do you have any special tips or tricks that get you and your budget ready for the holidays? I'd love to hear! Need a budget but have no idea where to start? 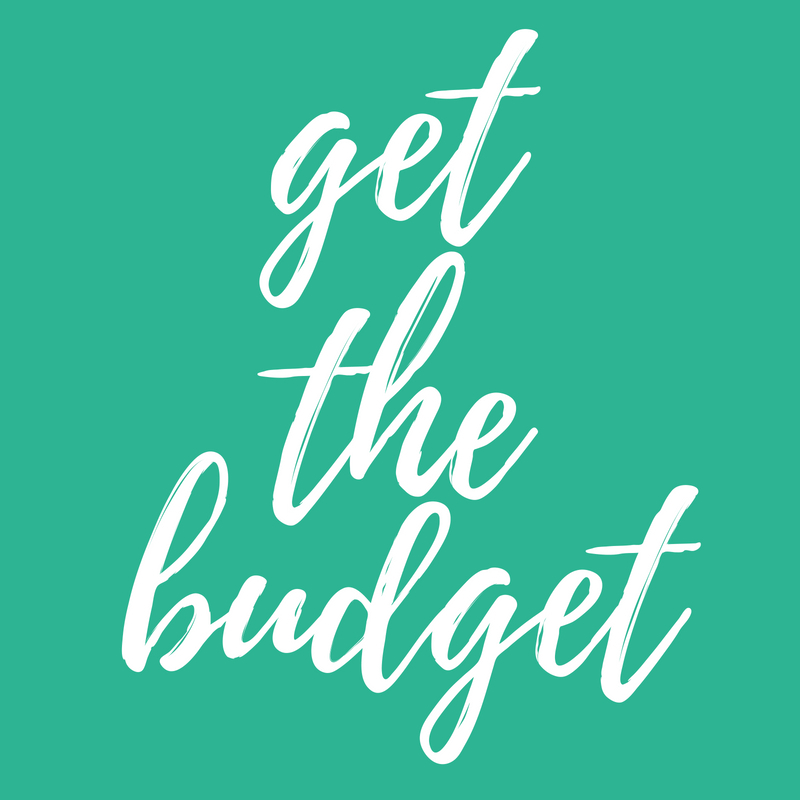 I've got you covered with a FREE budget template and guide. Just click the picture below to download! There was a time in my life where I rarely walked out of a store without something purchased in hand. Sometimes it was something that I had gone into the store to intentionally purchase. But most of the time it wasn't. Whether a big item or small, I always felt the need to swipe my card and carry something out with me. It was a combination of a little bit of shopping FOMO and a whole lot of wishful thinking about how much money I actually had. Eventually, though, I snapped out of it (hello, 12,000+ dollars in credit card debt), and stopped spending money on impulse purchases. One of the top 10 reasons I used to overspend was simply because I had no idea how much money I actually had in my account. I consistently overestimated how much I actually had so I would just buy random things here and there thinking I had all the money in the world to spend. I didn't. Cue overdraft fees, galore. But hey, turns out - when you know how much money you actually have in your account, you're far less likely to spend it on things you don't actually need. 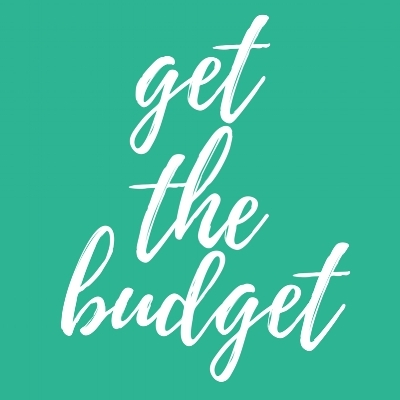 Make a budget, stick to it, and stop wasting money on that $5 chapstick in the checkout line at Target when you've already got 3 others as the bottom of your purse or in your car. 1. You're actually able to SEE how much money you have in front of you. Nothing holds you more accountable than physically looking at what you have to spend. 2. You're less likely to overspend because when your money runs out...it literally runs out, making it difficult to keep shopping. 3. You FEEL spending when you use cash vs. a card, so you're more likely to think through the purchase you're about to make rather than impulse spending. When you pay for something with cash, the pain sensor in your brain is triggered. When you pay for something with a card, NOTHING in your brain is triggered. This is an instance where no pain, no (financial) gain really does make sense. Believe it or not, you get to spend money on things you want even while living on a budget. A budget just gives you boundaries, which in turn actually gives you freedom. Creating a line item in your budget for spending or entertainment or clothing will actually keep you on budget and keep you from overspending in the long run. If you cut yourself off cold turkey from spending all together you'll likely have a panic attack one day and go and spend $300 on workout clothes (hi, hello - been there, done that.) Giving yourself the permission to spend will not only keep you from spend-snapping, but it will also allow you to feel more in control of your money. And last but not least, the best way to stay on task and not overspend is to remember your goals. Remember what you're working toward in the first place and you'll be far more inclined to spend your hard-earned monies on an impulse buy you don't need or actually want. Whether you're working your way out of debt or saving up for a new car, you've worked too hard to throw off your budget for those llama-shaped chip clips. Listen - we're busy. We're over here living life on budgets and still having fun. We've only got so many hours in a day and so much to do! I hear you and I'm here to tell you that living life on a budget AND eating healthy are both possible and we don't have to spend that much time in the kitchen to make it happen. When I started figuring out that I needed to get my eating habits in order, I remember being really overwhelmed by the whole idea of meal prepping. Much of the overwhelmed feeling had to do with my lack of skill in the kitchen, but also just the time I thought it would take to prep an entire week's worth of meals. The last thing I wanted to be doing on a Sunday afternoon was cut, chop, and cook for 4 hours! However, once I started getting serious about clean eating, meal prepping on a Sunday was the only thing that would lead me to success. It took some trial and error but I now have preparing all of my food for the week down to a one hour science. The key to implementing a quick meal prep is to just keep things simple. I choose foods that will not only be easy to make on a Sunday afternoon, but that will also keep for a week and will be easy to heat up. When it comes to breakfasts and lunches during the work week, I am not as focused on creating elaborate dishes, rather than just having something that I won't absolutely hate eating and that will give me sustenance for the work day. Boom. Done in one hour! PS - Have you wanted to try something like Whole30 but haven't because of all the $$ you think you have to spend? I've got a free guide for getting you through the program for $75 a week or less. Click the picture below to snag it!